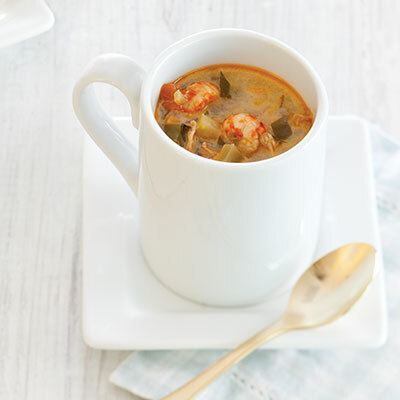 A rich and creamy crawfish soup. In a large Dutch oven, melt butter over medium heat. Add onion, and cook until translucent, 4 to 6 minutes. Add celery, bell pepper, and carrot. Cook until softened, 6 to 8 minutes. Add garlic, and cook until fragrant, about 1 minute. Add tomatoes, chicken broth, and crawfish. Bring to a boil. Add lemon juice, parsley, basil, hot sauce, Worcestershire, salt, and pepper. Reduce to a simmer, and simmer 26 to 30 minutes. Stir in cream. Serve immediately. I tried this recipie and it was pretty good. Great for cold days. 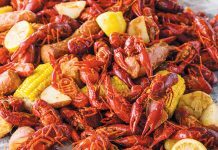 I’m Trying This Recipe Tomorrow.We Had A Crawfish Boil Yesterday.I Had Leftover Crawfish.I Peeled Them,And Purchased 4 Packs Of Crawfish Tails At The Grocery Store.I Have A Feeling This Will Be A Winner.And With The Lil Chill In The Air,Can’t Go Wrong.